When you experience any kind of fire in your home or at your business, the flames typically only account for part of the damage. Smoke can be almost as detrimental, especially if there is a lot of it. As one of the leading smoke damage cleaning companies in Chicago, ServiceMaster of Lincoln Park offers immediate response for your worst smoke emergency. Simply contact us 24/7 at (773) 346-6767 for prompt, courteous and efficient smoke restoration services. After experiencing smoke damage, you’ll immediately notice the black and gray buildup around your residence or in your office space. This is the most obvious sign of smoke damage. However, smoke damage goes beyond what you can see with the naked eye. Smoke is make up of tiny particles that can bury themselves deep into the fibers of your carpeting, into your furnishings and in your ductwork. If not properly cleaned, this residue can linger and foster health and safety concerns. The only way to ensure all the smoke has been cleared is by partnering with a trusted smoke damage cleanup service provider like ServiceMaster of Lincoln Park in Chicago, IL. For many homeowners and business owners, hiring a smoke damage cleanup team is something they have never done before. As you begin researching smoke damage cleaning companies throughout Chicago land, look for one with expertise and a no-questions guarantee. At ServiceMaster of Lincoln Park, we stand behind our advanced methods of smoke damage cleanup and provide you with 100% satisfaction. If you aren’t happy with the results the first time, we’ll come back until you feel comfortable. You cannot get a better promise in the industry. After experiencing smoke damage with or without the accompaniment of a fire, you want to return to your typical day-to-day activities as soon as you can. We understand this desire, which is why we work efficiently to ensure our smoke restoration services take as little time as possible. However, we still focus on being comprehensive in our smoke restoration services in Chicago — and we never compromise on quality. Want help discussing your smoke emergency with your insurance provider? 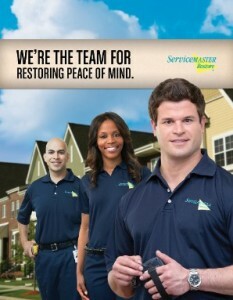 ServiceMaster of Lincoln Park can assist you. We are often the liaison between home and business owners and their insurance carriers, smoothing the way for you to understand what is covered by your policy. Call our team today at (773) 346-6767 to get an evaluation of your smoke damage. We can come to your location anywhere in the Chicago, IL, region.